Wash the arbi well, peel and cut each arbi in to two or three thick slices lengthwise. Keep aside. Peel, wash and slice onions lengthwise. Heat oil in a deep kadhai/ wok / or frying pan. 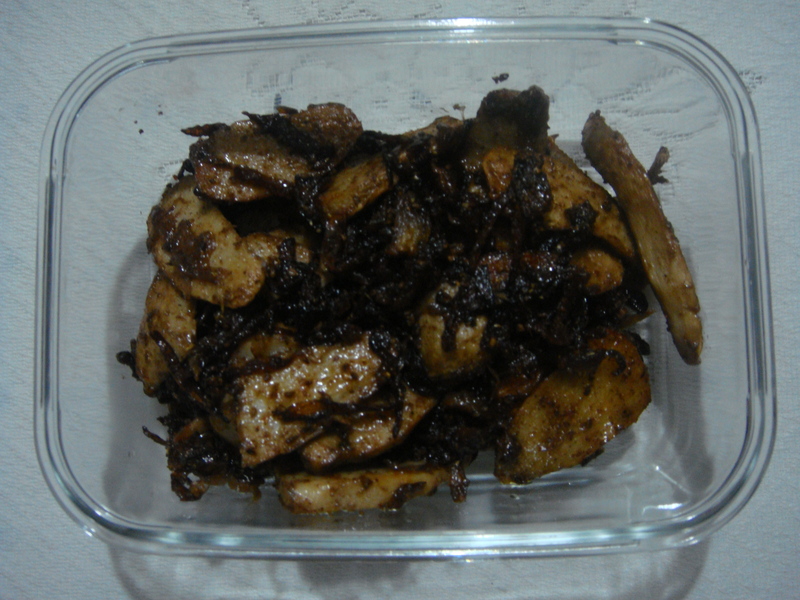 Put ajwain in the hot oil, wait for few seconds for it to splutter, add onion slices and fry till golden. Add coriander powder, cumin powder, salt, red chili powder saute for few seconds. Add the arbi slices, cook on a medium high flame, till well cooked. Mix in amcoor powder, garam masala and keep the kadahi /wok on low flame. Cover and leave to blend the masalas for couple of minutes, so that arbi gets quoted well with the dry masalas. Serve arbi hot, garnished with fresh coriander leaves as a side dish, with Indian breads like chapattis, parathas etc. Note: Stir-Fried Arbi is mildly spiced with a light and crunchy taste of Indian spices. Arbi is a good accompaniment with all Dals/ lentils.